At this point in the Marvel Cinematic Universe, any movie the studio puts out needs to accomplish one of three things: 1) Advance the overall story toward The Avengers movies; 2) Introduce new or underserved characters in compelling ways; or 3) Be so much fun that you won’t notice if it doesn’t do either of the first two things. 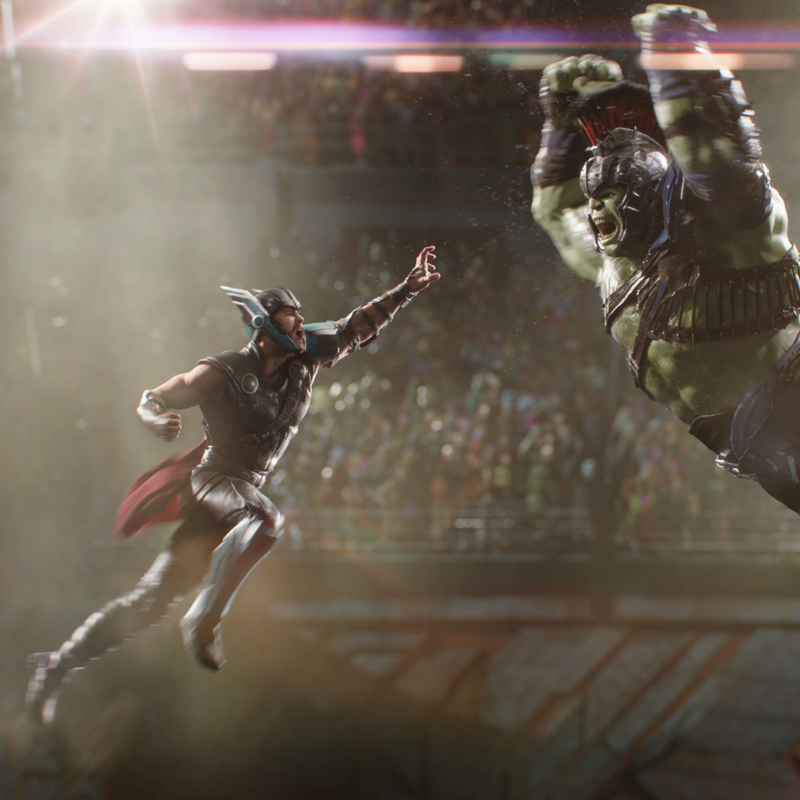 Each of the five films since the last Avengers movie has fulfilled that promise, and for a while, it looks like Thor: Ragnarok will be equally successful. 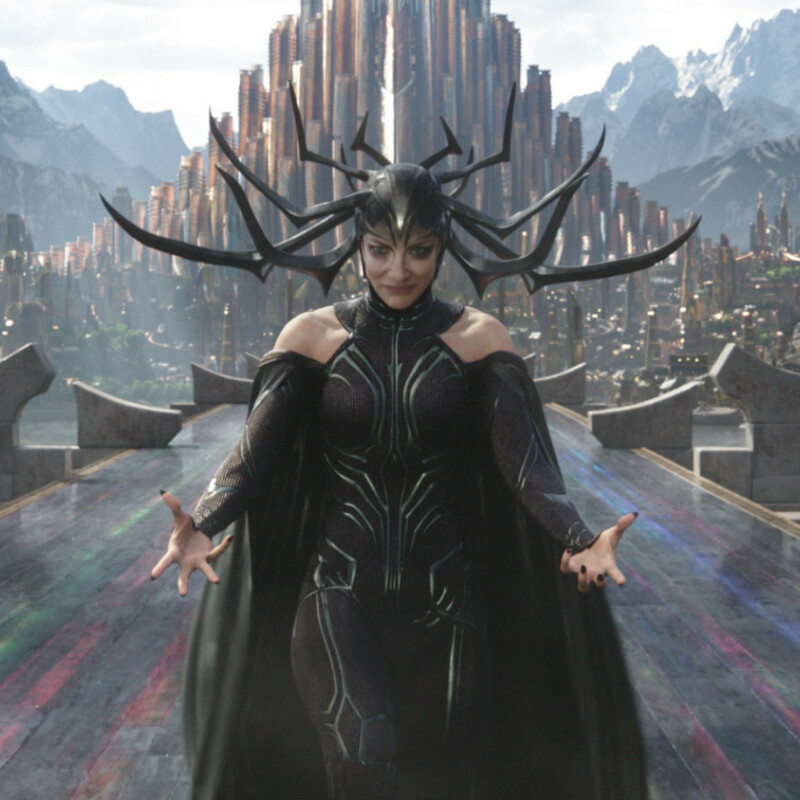 This film finds Thor (Chris Hemsworth) less powerful than usual thanks to the appearance of his long-lost sister, Hela (Cate Blanchett), and because he's stranded on a strange planet without his trusty hammer. Once there, Thor must contend with a number of obstacles. 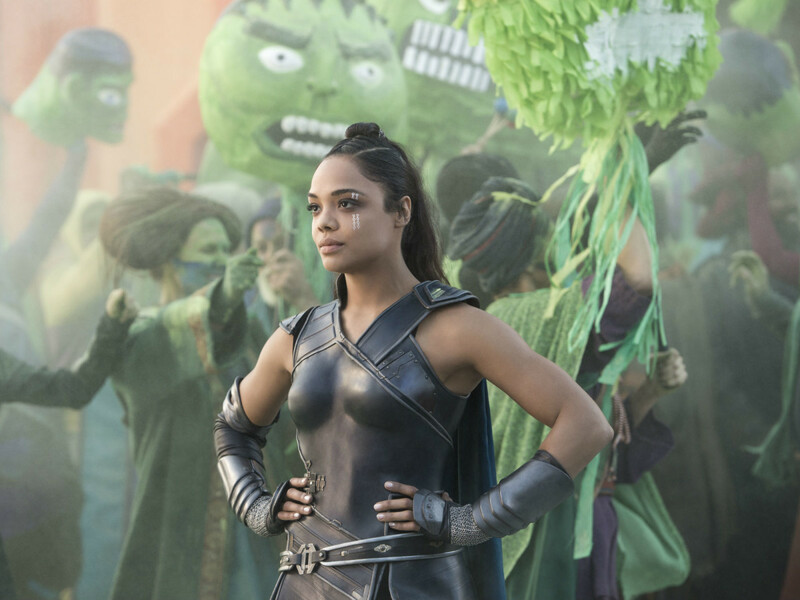 He’s captured by a mercenary, Valkyrie (Tessa Thompson), imprisoned by the planet’s Grandmaster (Jeff Goldblum), and forced to do battle with Hulk (Mark Ruffalo), who happens to have been stranded on the same planet. 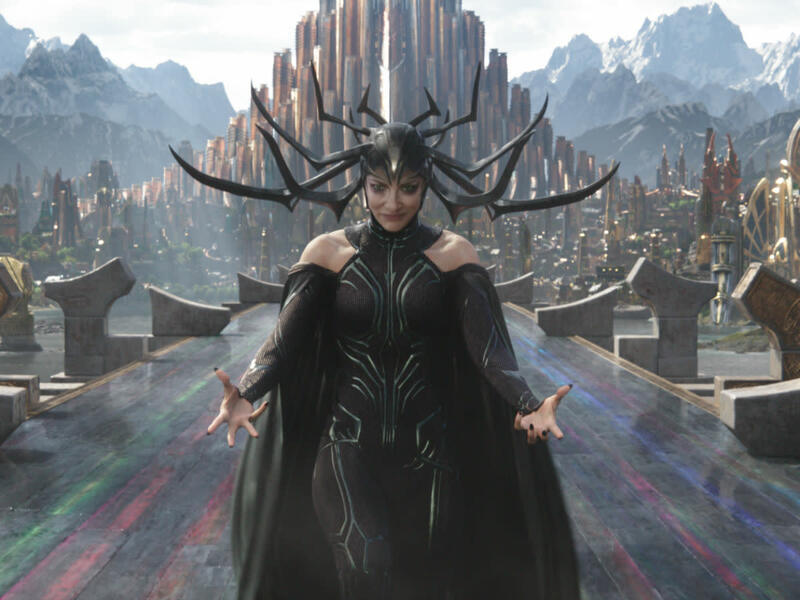 Meanwhile, Hela is planning to take over their home planet of Asgard, which seems to fulfill the prophecy known as Ragnarok. The one constant of the Marvel movies has been humor, and the jokes fly fast and furiously throughout this film. 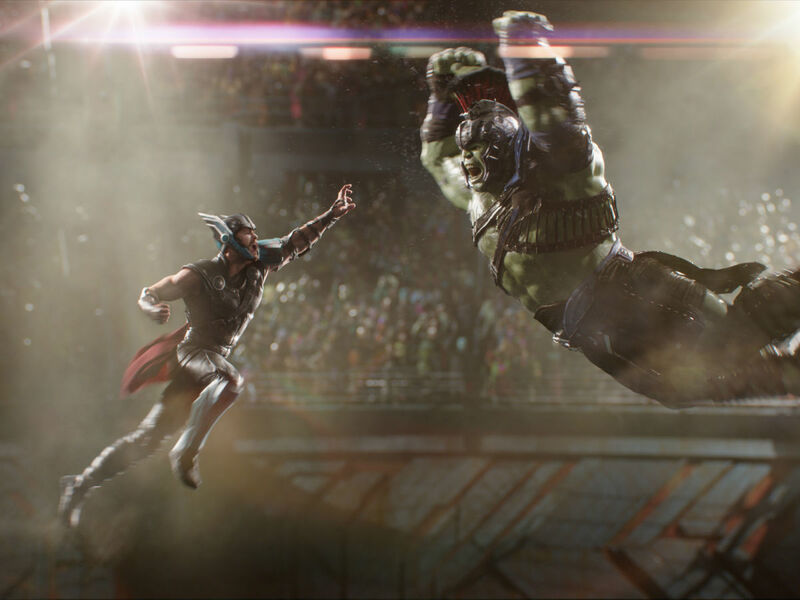 The tension of previous relationships like Thor and Loki (Tom Hiddleston) and Thor and Hulk provide a great base for comedy, and new characters like Grandmaster and Korg (director Taika Waititi) keep the mood light through the first two-thirds of the film. But the story has to actually do something other than make us laugh, and it’s when the film turns to action that it falters. The visuals are as impressive as you’d expect, especially the use of bold, bright colors. But they’re in service of battle scenes that serve no purpose than to give the characters something to do. 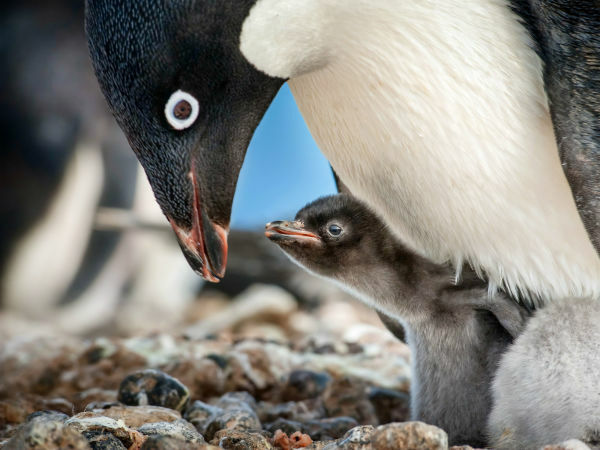 In other words, there are no stakes to the story. In theory, the danger Hela offers to Thor and the people of Asgard should pose enough of a threat to have meaning. But the people are a monolithic entity, devoid of any personalities, and Hela is purely a villain for the sake of having a villain. We know she’s bad because the movie tells us so, but it’s next to impossible to care about her dastardly plans. 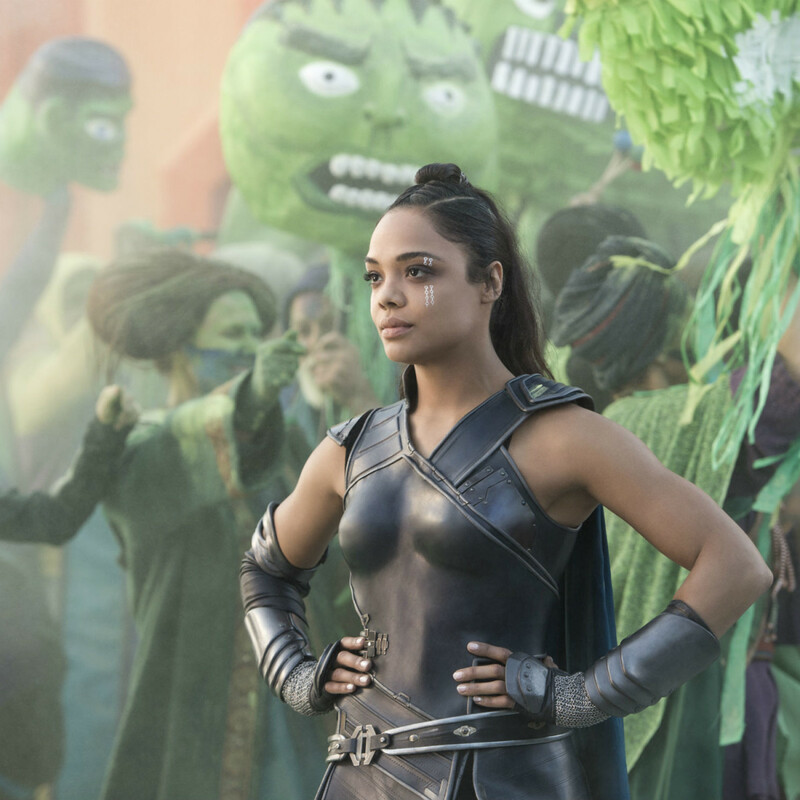 The filmmakers throw in enough distractions — an early cameo by an A-list actor, a superfluous appearance by Doctor Strange (Benedict Cumberbatch) — to keep it from being a complete waste of time. But there’s ultimately no point to the film other than moving key players from one place to another to set up 2018’s Avengers: Infinity War. Judging strictly by box office returns, Thor has been one of the least popular characters in the MCU. 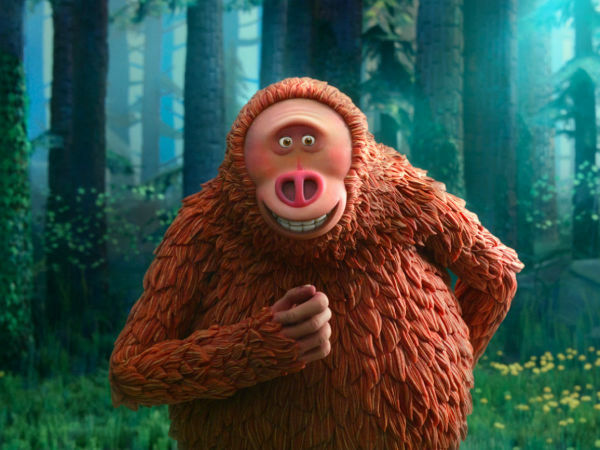 As funny as he is in Thor: Ragnarok, he's probably better as a supporting character. He’s good in small doses, but it’s hard to get worked up about an indestructible god.